Why view remedies through the P&W repertory? I have written on the importance of source material, especially of provings, in working to principle. As Hahnemann specified in Aphorism 3, in order to do homoeopathy we need to know what’s wrong with the patient, what the remedies can do and how to match a remedy to a complaint – with the proviso regarding appropriate potency and dosing. How do we know what remedies can do? Through provings, first and foremost – the symptoms can a substance cause in a healthy person. The body of provings which is easiest for us to access nowadays is in the Materia Medica Pura and Chronic Diseases. All the symptoms were carefully sifted through by Hahnemann, so if we see Hahnemann as a reliable source of information, that reliability extends to the provings he collated – and to his decisions to include some symptoms not taken from provings, rather from clinical work. 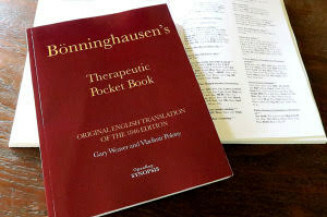 We have less knowledge regarding the provings of other remedies noted in Boenninghausen’s Therapeutic Pocket Book, although here again, if we see Boenninghausen as a reliable source, information about these remedies will be important in our work. There is information in Hughes Cyclopaedia, and many other materia medica refer to provings, but all too often provings information is intermixed with symptoms derived from therapeutic clinical work and poisonings, or separate as in Hughes, but not organized. But we have another source of information for those remedies whose provings were not collated or overseen by Hahnemann – the Therapeutic Pocketbook itself. Boenninghausen examined and brought together all the remedies in use in his time. Some were proven by Hahnemann but not published by him. Some were proven by Hartlaub and Trinks and others. Furthermore, Boenninghausen was kind enough to give us a grading system, indicating where a symptom derives from a proving of a remedy with grades 1 and 2, and strengthening the relevance of that symptom for that remedy from his clinical work with grades 3 and 4. This means that if we take a remedy through the Reversed Materia Medica in the P&W software, we can actually gain a picture of the proving through grades 1 and 2, together with reliable clinical expansion on that remedy through grades 3 and 4. This in itself is information from early and primary sources, with Boenninghausen and Hahnemann’s stamp of approval. Furthermore, thanks to P&W, this information is available in English, Spanish, and Hebrew in addition to the original German. And there are other languages on the way. This means that those who have difficulty accessing the Materia Medica Pura in their own languages and use the P&W reversed to shed more light on these primary sources. How can we begin to analyze this mass of information? The TPB was developed to help repertorize, guide the practitioner towards remedies to read up on more intensively. But the computerized version has given us the ability to access the material in different ways, including using the Reversed Materia Medica as a “back door” into gaining reliable knowledge of remedies where the provings are not accessible. For example, on a very basic level, we can see a remedy’s position in any rubric. We can see if it’s there because it’s in the proving, graded 1 or 2, or because Boenninghausen emphasized its clinical use with grades 3 and 4. A remedy may appear in a symptom with very few other remedies, giving it additional importance in that symptom regardless of its grade. A remedy may appear in a large rubric, with over a hundred remedies, and there we may want to see if it’s in a higher grade than other remedies, if that symptom is very strongly connected to the remedy we’re examining. The relationship between remedy grade and rubric size may have relevance in the case we’re working on. All this while keeping in mind that the appearance of a remedy in proving is the basis for prescribing, and Boenninghausen’s clinical use of that remedy is an added bonus. For those interested in working to principle, which means using provings-based materia medica, the reversed MM offers a treasure trove of information about provings which are harder to access, which is definitely worth while exploring. 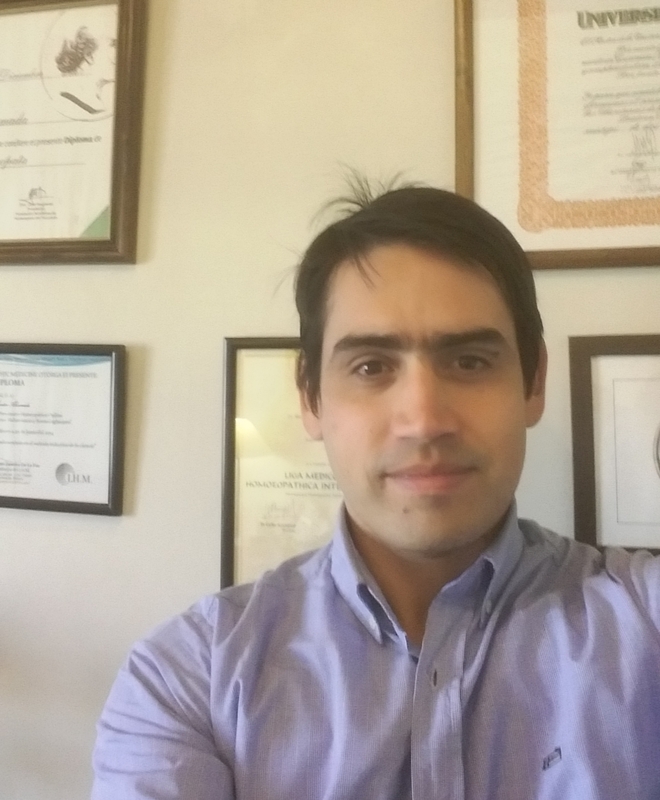 The Institute is pleased to announce the membership of the first graduate from the Mexican college under the tutorage of Dr Guillermo Zamora. Details below in Spanish and English. A little bit about the I.H.M. From its conception in 1986, the aim has always been to research and disseminate Hahnemanns writings and methodology to enhance the practitioners ability to practice our therapy in an accurate way. More and more today, this methodology is being corrupted by modern teachings, and from this the efficacy of homoeopathy is being destroyed little by little. Each student of the IHM is taught solely from the writings and clinical cases from Hahnemann and Boenninghausen and others associated with them. We have had the privilege of teaching hundreds of students and conducting many seminars. for information regarding our courses and locations and prices. Mi encuentro con el Dr Guillermo Zamora (traductor al español/castellano del TPB) y el uso del P&W TherapeuticPocket Bookme permitió terminar de romper con la orientación Kentiana y me dio la tranquilidad de saber que las rubricas elegidas y sus síntomas, se encontraban respaldadas en la MMP, en la EC y en la propia experiencia de Boenninghausen y no en la interpretación. Sin duda en todo este tiempo, el camino fue el de desaprender y el de re incorporar nuevas técnicas que quizás por el avance de nuevas corrientes o por la impronta tan fuerte de Kent no permiten al alumno volver a la toma del caso como lo hacia el Dr. Hahnemann. Algo que sin duda el IHM rescato y trabaja arduamente en reposicionar. 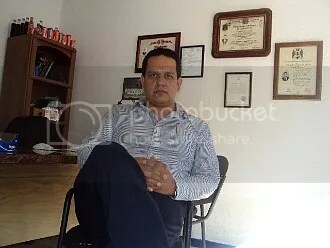 Me queda solo agradecer en primer lugar a mis maestros originales y sobre todo al Dr. Guillermo Zamora, gran persona, profesional y docente que me animó en cada clase con su experiencia y paciencia en el camino de redescubrir al Dr.Hahnemann por medio del Dr.Boenninghousen. My meeting with Dr. Guillermo Zamora (translator in Spanish / Spanish of TPB) and the use of the P & W Therapeutic Pocket Book allowed me to finish breaking the Kentian orientation and it gave me the assurance of mind that the chosen rubrics and their symptoms were Backed up in the MMP, in the EC and in Boenninghausen’s own experience and not in interpretation. Undoubtedly in all this time, the path was to unlearn and to incorporate new techniques that perhaps by the advance of new currents or by the strong imprint of Kent do not allow the student to return to the taking of the case as he did the Dr. Hahnemann. Something that undoubtedly the IHM rescues and works hard to reposition. I just have to thank first of all my original teachers and especially Dr. Guillermo Zamora, a great person, professional and teacher who encouraged me in each class with his experience and patience in the way of rediscovering Dr. Hahnemann through Dr Boenninghausen. The IHM does not endorse all the views of Peter Morrell as stated in this article. However in respect and fairness we felt it necessary to publish his words as written. We are extremely grateful for Peters work regarding homoeopathy. Commencing any assessment of the principles of homeopathy one has to consider the notions of health and disease, not only because they are central to medicine in general, but also because the concepts of health and disease in homeopathy are different from these concepts as they exist in common usage in allopathic medicine. Therefore, it is quite an imperative task to explore and discuss at the outset the specific meanings of these concepts as they exist in homeopathy. Homeopathy eschews broad disease labels, but treats each individual as a unique case of sickness. It regards that there are as many diseases as there are patients. It therefore resists any temptation to clump together cases of a similar type or give them a name or treat them with the same drug, such as has become the standard practice in allopathic medicine. By overlooking “that the disease classification is man-made…they assume…that disease entities somehow have an independent existence,” [Wulff et al, 82] which of course they do not. They are human constructs with no more reality than pipe dreams. The “disease classification is still largely a mixture of disease entities defined in anatomical, physiological and microbiological terms,” [Wulff et al, 77] which is indeed “a man-made classification of individual patients.” [Wulff et al, 77] True and natural disease “classifications are not arbitrary but must be moulded on reality as it is.” [Wulff et al, 88] Thus far, these do not exist. Sickness in homeopathy is always individualised and idiosyncratic and never a pooled entity based on averages of large numbers of people, a population, as is the regular practice in allopathic medicine. Likewise, in homeopathy there can only be one person with one disease and each person presents a unique combination of symptoms; they do not have several diseases residing in the same person. Everything wrong with one person comprises their ‘disease.’ In homeopathy, there are no ‘diseases’ as such, but just ‘sick persons’ as individuals. In homeopathy, it is not valid to consider disease as external to the patient, or driven by external events, but as resident within the individual and driven mostly by internal processes. This might seem a hairs-splitting difference, but it proves to be both a subtle and also a pivotally insightful distinction between homeopathy and allopathy. It is clear from this why Hahnemann dismissed the very idea of classifying broad categories of so-called ‘diseases,’ and the disease entity model, as ridiculous, unnatural and arbitrarily fabricated human constructs, deriving from a fundamentally false perception of the human organism in health and in sickness. The body is a dynamic structure constantly being made and being demolished; it is in constant motion just to stand still. It never stops creating and destroying itself at the same time. This means it has a balance of construction activity and destruction activity going on all at the same time. Cells are dying and new cells are being made all the time. Catabolism and anabolism balance each other but are in constant motion. This also gives an insight into the incredible complexity of the organism but also the smoothly coordinated operation of its processes. The single drug was really the first emerging axiom of homeopathy. In many respects, Hahnemann’s conviction in the use of single drugs sprang independently and with deeper and more impassioned conviction as compared with all other axioms of homeopathy. He strove even from a very early stage in his medical career to simplify the complex medicine of his day, and was inspired always to obtain simplicity in his treatment of the sick. One key aspect of this impulse is his simple, possibly naive, notion that the drugs in use in his day were far too complex mixtures for them to bring any predictable benefit to the sick patient. He maintained that no true knowledge of the effects of drugs existed, that it was all based on hearsay, on tradition and speculation. Therefore, it followed from the critical approach he adopted that he decided that any true understanding of the nature and action of drugs should be based upon single drugs first and that the data so generated must be obtained PRIOR to their use on sick persons, rather than the reverse situation, which had pertained for centuries in a completely corrupt and unquestioned tradition. Drugs were simply used in mixtures and in a somewhat entrenched rote manner as based upon unquestioned and centuries-old formulas. This approach he detested, and rejected passionately, as a major obstacle to medical advance. He rebelled most forcefully and at the earliest stage in his career against the apothecaries and their wonderful mixtures, which Hahnemann declared to be a bogus profession peddling dangerous mixtures that nobody knew the true therapeutic actions of. He was outraged by and rebelled against the whole tradition and privileges of the apothecaries, who he accused of being fools and of enjoying a wholly corrupt and cosy, parasitic relationship with the equally foolish physicians. He never lost his passionate opposition towards apothecaries and what he saw as their vile and murderous trade. He gave them no quarter and was unrelenting in the venom and bile he unleashed on them even to the end of his long life. He became deeply and intuitively convinced that mixed drugs were fundamentally wrong and that single drugs alone spelled the true path for a sane and rational medicine. He condemned the allopathic use of unrecognisable mixtures of drugs by the “commingling of several such unknown substances in one prescription.” [Organon, xxviii] the therapeutic effects of which were inevitably unknown. He “was a most passionate opponent of mixed doses that contained a large number of ingredients.” [Gumpert, 96] Hahnemann “was the first to raise his voice against the compounding of prescriptions, holding that the effects of compounds on disease could never be known precisely.” [Coulter, II, 335] Then “let us…agree to give but one single, simple remedy at a time, for every single disease.” [Hahnemann, 1797, Lesser Writings, 320] He condemned the “employment of the many-mixed, this pell-mell administration of several substances at once…these hotchpotch doses.” [Lesser Writings, 1808, 498] He was very “outspoken in his contempt for every mixture of medicines,” [Haehl, I, 308] revealing his “rejection of compound medicines.” [Haehl, I, 308] On this point he never deviated during his long life and was disposed on only the slightest provocation to pour tremendous scorn on the pharmacy of his day. How true this is even in our day too! But the simple apothecary is now replaced by huge pharmaceutical enterprises, a billion dollar affair and an immense political, media and social influence. So, in principle here is a serious problem Hahnemann put for the first time…WHO is managing health, the doctor or the big-pharma business? One later reason for single drug use was also his theory about the vital force. The homeopathic remedy doesn’t act directly but by intermediary action and reaction of Vital Force of the patient. As diseases are viewed as “dynamic derangements,” so a single drug at once is to restore in a unique and coherent way the action and direction of the Vital Force. More than one remedy would create confusion, like an army conducted by more than one commander, which, at the same time tries to act on more than one front spreading and so diluting its forces. 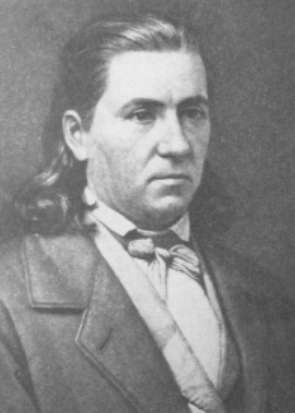 However, we have to mention that, for a short period of his life H was attracted by Aegidi to the idea of two simultaneous remedies, but he abandoned the idea because he was convinced by Boeninnghausen and others that accepting two drugs at a time could re-open the Pandora’s box of polypharmacy, which was not a suitable option. On the other hand, the “single drug” principle doesn’t mean that he did not sometimes use remedies in alternation or in short succession. The change in the aspect of Vital Force—the image of the sickness—demands a change of remedy. On the other hand, as he stated in the 4th Organon, the remedy must be left for enough time to act. Similars and single drugs really emerged together in Hahnemann’s scathing analysis of allopathy. It is hard to separate them even for convenience. The law of similars was first formulated by Hahnemann through a prolonged literature search which then inspired trial and error, and experiments, gradually revealing to him, and convincing him of, the superiority of similars as a medical maxim over contraries, which was the central axiom of Galenic medicine in which he had formally been trained. Because Hahnemann was in a state of profound dissatisfaction with Galenic medicine, so he had in effect been rendered deeply sceptical of the therapeutic legitimacy of its core maxims, viz: mixed drugs in strong dose based on contraries, and its main therapeutic method: bleed and purge. This fact must naturally and inevitably have inclined him sympathetically towards consideration of the potential usefulness of the opposite maxims to Galenism: small doses of single drugs, employed through the more Hippocratic notion of similars. Hahnemann instinctively detested the use of strong doses of mixed drugs so much in vogue at that time: “the prolonged use of violent, heroic drugs in strong, increasing doses, the abuse of calomel, corrosive sublimate, mercurial ointment, nitrate of silver, iodine and its ointments, opium, valerian, cinchona bark and quinine, foxglove, Prussic acid, sulphur and sulphuric acid, perennial purgatives, bloodletting in torrents, leeches, fontanels, setons, etc.” [Hahnemann, Organon, v.74] It is interesting, if not ironic, that many of these drugs whose over-use he condemns were the first to be proved and incorporated into the homeopathic materia medica! Therefore, as he set out on his quest for medical enlightenment, it is fair to say that he was already naturally predisposed against the Galenic maxims and leaning more towards those which duly became the core maxims of homeopathy. This was the situation he naturally found himself in even before he set out on his search. Yet, even in spite of this statement of the situation, we must dismiss immediately any notion that he had a predetermined vision of what homeopathy was, before he independently validated each separate axiom of it, and which simply unfolded for him quickly under its own momentum. This is an incorrect view of the facts. In reality, he still took a very long time to independently verify, through observation and careful experiments, each separate strand of what eventually became homeopathy. He chose to very thoroughly test and validate each axiom over a period from roughly around 1783 to 1801, starting with similars and single drugs and ending with small doses. Such a slow process of unfoldment clearly does not support the notion that he merely followed a simple, predetermined plan, and such a notion must therefore be dismissed out of hand at the start. Similars should also be profound not superficial. This means that the similarities between drug and patient must be deeper and more extensive than just a few broad symptoms. It is also clear from this account that Hahnemann did not construct a theory of medicine first and then find facts to support it, as has been claimed in some less informed quarters [e.g. “Hahnemann had cast homeopathy in substantially the same eighteenth century mold that had given shape to the systems of Cullen, Brown and Rush.” Warner, 1986, 52-3] On the contrary, he distilled each axiom separately and directly from an extensive body of medical literature, from cases, from observation and experience, and thus from considerable reflection upon a large corpus of evidence. Such an approach is certainly an inductive approach a la Bacon, but it was based initially upon a deep dissatisfaction with the medicine of his day, which inspired his search, rather than upon a pure devotion to the methods of experimental science per se as defined by Bacon and Galileo, for example. Similars must cover specifics and generals, modalities and rare or peculiar symptoms as well as the ideas presented above. This is what Hahnemann discovered. It is not simply a similarity confined to a few symptoms here and there. In other words, some broad and general similarity between patient and drug does not at all form a sufficient basis for a prescription. 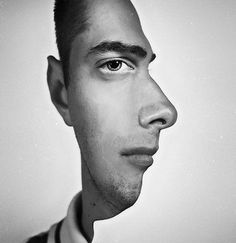 A much deeper, more detailed, individualised, specific and idiosyncratic level of similarity is required for a “true fit” to be seen to exist between patient and drug. Partial similarity will improve or palliate temporarily, but not cure. The best and most detailed similarity is always correct and curative. There is a however another corollary of similars that needs some amplification. Similars necessarily embraces case totality both in the drug picture and in the patient. This means that there must exist a deep similarity or resonance between the case in total, as a whole, and the drug picture of the most suitable remedy. Similars does not therefore simply mean the similarity that might exist between a few specific symptoms here and there or based upon some arbitrarily defined named disease entity. All these points illustrate quite well the interconnectedness of homeopathic ideas as forming a general continuum or whole system of tightly cohesive ideas and notions, which blend neatly into each other. It is a coherent and holistic system and it is thus difficult to separate any one aspect of it and isolate it from all the rest to which it is intimately related and connected. Having decided that only single drugs were to be employed in a sane and rational medicine, the next task Hahnemann encountered was how to decide what healing properties any drug actually contains hidden within it, and how this information might be obtained. Dismissing at the outset such ideas as the doctrine of signatures, the answer to this problem came to him from consideration of the effects of poisons, in which he had had a long interest and fascination. In turn, the law of similars springs first from Hahnemann’s studies of poisonings and second from his proving experiments. 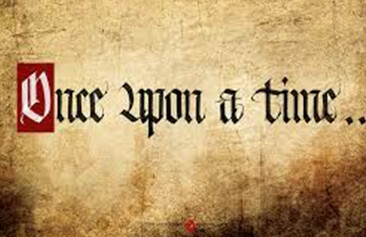 Another stream of ideas flowed from his deep interest in poisons, which reveal the effects of drugs upon the healthy. For example, his publications: On Arsenical Poisoning, 1786; The Complete Mode of Preparing The Soluble Mercury, 1790; On The Best Method of Preventing Salivation and The Destructive Effects of Mercury, 1791; What Are Poisons? What are Medicines? 1806. There seems little doubt that these studies formed an important prelude to his provings, which are afterall merely mild forms of self-poisoning for experimental purposes. He therefore decided that the only way to accurately determine the detailed ‘sphere of action’ of any single drug was to take some yourself in small doses and accurately explore and record how it can temporarily derange one’s own health. 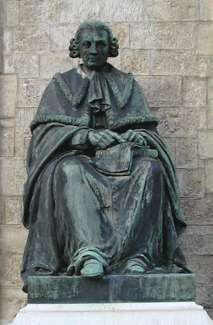 Provings and poisonings reveal Hahnemann’s abiding interest in drugs and their actions and his Pharmaceutical Lexicon was in many respects the forerunner of his Materia Medica Pura, and it is this deep interest in drugs and their effects that reveals and explains the basis of his enormous respect for Albrecht van Haller. What Hahnemann did with this interest was to explore the primary and secondary effects of drugs and poisons—that is where it took him—and from there he went on to observe and distil great principles about the actions of single drugs on healthy people and in turn on the sick. These can all be found in great detail in the Organon. The proving can be said to arise at the point of convergence of Hahnemann’s detailed knowledge of sickness, poisons and drugs and his uncompromising desire to ground medicine solely in empiricism, that is, observation and experiment. He reserved his greatest respect for “a science of pure experience…knowledge of the disease to be treated and the actions of drugs.” [Ameke, 134] These, he insists can only be deduced “from pure experience and observation.” [Ameke, 134] The proving idea mirrors exactly the incredible information Hahnemann had unearthed in the literature of cases of poisonings, but in provings this is expressed in a muted and more subtle form. Arguably, it shows an underlying essence of the substance common to both and which might also be intuitively realised from observation and deep reflection as well as from actual provings. This also connects homeopathy with the various Flower Essence remedies now in quite widespread use. We can also say that Hahnemann was a pioneer of the “medicine based on fact” or “evidence based medicine.” Hahnemann’s primary aim or ambition was to base medicine solely on solid ground, on facts and therefore he had toxicology and provings as pillars to build a solid data-base of all actions of substances on man. Toxicology and the so called “side-effects” of drugs represent the involuntary, accidental, uncontrolled side of this topic, and reveal the gross and lesional aspect of the effects a substance can induce. Provings are the voluntary, controlled, conscious and experimental side, and so to say, the more subtle physiological and psychological side of the same phenomenon. Another point that came from provings is the idea of some specific reactions of individual nature, coming from susceptibility and sensitivity of individuals. From these arise the later notion of “sensible typologies,” which denote a complex description of the most reactive individuals to some remedies. Not only in the case of the provings of drugs, but also with regard to the detailed study of medical similars, there has probably never been in the entire history of the world a single person who has studied the effects of drugs on the human subject more thoroughly than Samuel Hahnemann. In provings and in poisonings, Hahnemann’s pioneering work noted—dissected in detail—both the primary and secondary effects of drugs, and in studying the cures of the past he was able to show that the secondary effects usually mirror the primary and are often curative responses initiated by the vital force, opposite in their nature to the primary effect of the drug on the human system. Nowhere else in the medical literature, outside of his writings, has this information been studied and tabulated in such detail. Nor anywhere else has this data been slowly distilled to engender core therapeutic principles of such awesome predictive power. This can be seen to derive in part from having no concept of a disease entity acting as the cause of a sickness. It comes from having no disease label and it also springs naturally from the provings, from observation in clinical practice and is thus primarily an empirical idea. It also derives from the conceptual meeting point of his translation work and the provings. It is important to understand why. While working on translations, Hahnemann found and collected numerous references to specific drugs for specific symptoms, ailments or specific disease labels, and to examples of the effects of poisonings. What exactly did this material mean to him and how did it affect his thinking? Once he came to prove a drug [e.g. Cinchona in 1790], he then saw its effects really comprised a case totality rather than a specific for a named disease or group of symptoms. In other words, in proving a drug he found its action was not to create specific symptom clusters, but to impact more broadly on all mental and physical aspects of organism functioning, and thus creating an image of totality rather than merely being confined to a narrow range of specific actions. Therefore, there was a certain disparity between the references he found to the use of drugs, as found in the literature, which tended to be specific, and their actual effects in the provings. This disparity must have changed his views, probably radically. His findings therefore meant that in similia such proved drugs were suitable to be employed not for quite narrow specific groups of symptoms [= named diseases], but only for a broader case totality. Then in using these proven drugs in clinical practice, via similia, he accidentally encountered the incredible sensitivity a patient manifests towards their specific similimum. Therefore, he also saw that any new ‘medicine of specifics,’ could not conceivably be a medicine of a specific drug fro a specific disease label, as he had probably imagined, but for a specific drug profile delicately matched and appropriate for a specific individual patient, as a holistic entity. The distinction between these two categories might seem subtle and thunderously hair-splitting, but in reality it is a crucially significant difference, that was to cast asunder the allopathic from the homeopathic systems. This distinction in fact creates a wide gulf between the two both at the conceptual level and at the practical level. Hahnemann saw that there would henceforth be no possibility, no option ever to treat a small group of localised symptoms with homeopathy; it would be case totality or nothing. Basically, what Hahnemann showed is that all cases of what we term ‘disease’ are ‘totalities’ of symptoms or totalities of health disorder and NOT named diseases as conceived in allopathic practice. He could see the wider picture of each individual case rather than the narrowly fragmented view that naturally follows from the named diseases approach to the sick person. They are different ways of seeing the sick person and hence quite different ways of looking at the very nature of sickness. One is fragmentary and concerned with parts, and the other is holistic and concerned with wholes. Hahnemann took the view “that physicians assess not only the cause of the illness, but all aspects of the patient,” [Porter, 172] As with Hegel’s philosophy, the “central thought is, then, that only the whole is real; the partial fact is only an abstraction, which needs to be brought into connection with the whole in order to gain validity. ‘The bud disappears in the bursting forth of the blossom, and it may be said that the one is contradicted by the other; by the fruit, again, the blossom is declared to be a false existence in the plant, and the fruit is judged to be its truth in the place of the flower…” [Rogers; 409] He believed that “the disease is reflected in the totality of the symptoms,” [Haehl, I, 292] Hahnemann “was very conscious of the danger,” [Guttentag, 1187] of focusing too narrowly on “one symptom rather than of the whole symptom complex.” [Guttentag, 1187] “not only a single symptom or a single chain of symptoms must be removed,” [Guttentag, 1187] one must remove “the totality of symptoms.” [Guttentag, 1187] For “the whole clinical picture guides the homeopath toward the proper drug…[one that can] produce a similar sum total of signs and symptoms,” [Guttentag, 1187] this is the similimum. Homeopathy “prefers to explore rather than to explain. It emphasises exhaustiveness in observation and stresses the significance of phenomena in terms of the organism as a whole,” [Guttentag, 1176-7] rather than a fragmented view of its parts. It seeks to describe rather than explain. It “considers the single patient as indivisible and unique…as not accessible to the method of measuring,” [Guttentag, 1177] so beloved of the allopaths. Case totality principle (“Inbegriff des Symptome“) comes also as a direct consequence of the ‘totality of actions’ of remedies as revealed from provings. The differential diagnosis in homeopathy is not based on theoretical nosologic “standards” but on real symptoms, sometime not in a direct connection with the basic affection, that reflects the individual and specific reactional patterns. Because these patterns are external, observable symptoms that reflect in their turn the subtle and unobservable mis-attunement (Unstimmung) of the vital principle. Such semiological notions as modalities, localities, sensations, etc, have all to be carefully observed because they are the expression of the individual vital force reactions. One remarkable point in Hahnemann’s perspective that comes from this is the principle of coherence: disease is not a mere mix of symptoms, but a coherent reaction of the vital force as a consequence of its inner perturbation, of its ‘functional turbulence’ that we call sickness. Homeopathy looks for the totality of the case because it has significance from the therapeutic point of view. In allopathy, to collect all the symptoms has no real therapeutic meaning; it collects symptoms to eliminate them afterwards because the only symptoms it considers are the common ones, the “disease symptoms.” On the contrary, in homeopathy even the most minor and peculiar symptoms are potentially of greatest importance; they reveal the individuality with its peculiar determination. In his work with single drugs Hahnemann soon discovered that the process of matching a drug and a patient requires much greater subtlety and skill than is imagined. In particular this includes the idiosyncratic element of individuality and the rare and peculiar symptoms. Idiosyncrasies reflect also the fact that, from a reactional point of view, humans are not a tabula rasa, they come with inherited traits, they acquire others during the events of life in such a way that every individual is highly personalized and unique. This view stands in the starkest contrast to allopathic view of health and sickness viewed as they are solely through the filter of averages. Propria and communia, what is idiosyncratic and unique to an individual case, and what is common to all cases of a ‘disease;’ this connects with concomitants and ancillary drugs used in the medieval approach. 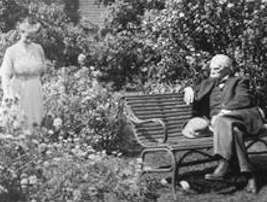 All homeopaths become cognisant of “the large amount of individualisation demanded by Hahnemann.” [Haehl, I, 92] Osler when he said that “it is much more important to know what sort of patient has a disease than what sort of disease a patient has.” [Maizes & Caspi] Therefore, we can say that Hahnemann makes a clear and wide deviation from all previous medical systems by insisting that disease is an individual phenomenon and that medicine must primarily base its rational and truly curative treatments upon the unique aspects of each case and not upon the aggregated ‘common symptoms.’ For clearly, what he is saying is that the true nature of any case of sickness lies primarily and fundamentally in its unique individuality and not in the symptoms common across many various cases of a similar type. Idiosyncrasies form a common basis for the most peculiar symptoms coming from provings and those coming from sick persons. The same principle reveals a mirror-like situation: the most sensitive or susceptible individuals will reveal the most peculiar symptoms in provings, but the most peculiar symptoms in disease are signs that the individual is highly sensitive to a substance. Allopathy, ever since the days of Sydenham, makes the exact opposite claim, and all its treatments are based solidly upon the notion of pooled data, averages, l’homme moyenne and what is common to each so-called “disease entity,” a concept Hahnemann derided as a ludicrous and quite arbitrary human construct, something unnatural, made and not found. Therefore, in this topic we begin to see one of the very strongest contrasts between the conceptual views of the allopaths and homeopaths. The small doses of homeopathy were the last axiom and were entirely arrived at empirically through the desire to reduce [alleviate, and avoid] the impact that doses of the most similar remedy can have upon the patient. One of “homeopathy’s prime principles…in a nutshell…that drugs increase in potency with their dilution.”[Cameron, 30] Here we have to emphasise the high moral and deontological aspiration of homeopathy, which completely considers as valuable the Hippocratic principle of “primum non nocere“. This is part of the basis of the small dose: a small dose that can induce healing, does the least harm. Hahnemann found that the most similar drug had a uniquely powerful [often astonishing] ability to elicit strong reactions in the patient and for this reason could elicit aggravations of symptoms. He was alarmed and amazed to observe the great sensitivity a patient shows towards even small doses of the most homeopathic remedy for their case. Ever smaller doses were conceived by him for the pragmatic purpose of alleviating or avoiding these bad reactions evoked in patients by the most similar remedy. Already naturally inclined in the direction of adopting much smaller doses than his medical peers [e.g. Mercury], he was thus inspired to find ways of reducing dosage progressively and also in a mathematically precise way. This is how and why he first entered the field of dose reduction. The tiny doses of homeopathy can also be said to reveal a link to the more metaphysical ideas like vital force and miasms because they all partake of a subtle and non-molecular dynamic. In his later views, the dose reduction is a problem of attunement between the subtlety of the target (vital force) and the subtlety of the means [the potentised drug]. Both vital force and potentised remedies are dynamic “spirit-like” entities and to use the second to correct the ailments of the first might be said to proceed as a natural consequence of his spiritualistic view. Actually, the diluted and potentised remedies of homeopathy are the greatest problem of its acceptance by the scientific world, because many of the remedies used are beyond the Avogadro number or, so to say, “ultra-molecular,” beyond the limit a molecular and materialistic paradigm can conceive. The fact that, however, they are therapeutically efficient opens a great problematic field about this paradigm itself, and creates a deep tension between homeopathy and conventional science. This crucial concept is mostly derived from empirical observation and experience with cases, especially when taking into account longitudinal case studies [through time] which show that suppressed foot sweats can lead to asthma, for example, or suppressed skin rashes, etc can lead to respiratory conditions [tonsil or sinus troubles]. Any set of symptoms removed by a crude drug can be regarded as a form of suppression. As with chronic miasmata, the conceptual model of suppression probably first arose in Hahnemann’s mind from his extensive knowledge of venerology, where, for example, the suppressed chancre of syphilis leads to further secondary morbid manifestations or morbid alternations; likewise with the suppressed gleet of gonorrhoea. The main problem of this principle is a well balanced primary treatment of the acute diseases. As long as the primary conditions are treated in their natural extensor, as a condition that regards the whole organism itself, then treatment leads to cure. Suppression only arises when the disease is not treated in its whole extent, and instead of treating the complete condition, some local symptoms alone are treated. In this way, the named symptoms are excluded from their deeper context, the disease remains hidden in the interior and develops stronger and deeper forms. Hence, whenever the treatment is aimed at parts, mere symptoms, superficial physiological or pathological manifestation, it is suppressive. This doesn’t mean that homeopathy doesn’t treat acute or partial conditions, but its aim is to treat the integrity, the causes and the profound layers. Once this pattern had first been seen and identified, and then became an expected pattern, so it was then found all over the place. Hahnemann soon realized that all changes brought to a case by crude drugs are in fact suppressions because they do not lead to true cure but only to temporary relief followed by relapse, or followed some months later by another disease of a more interior and more serious character or of a more intractable kind. Thus, the idea of suppression goes back to the beginning of homeopathy because it reveals a fundamental problem Hahnemann had identified with Galenic medicine that just removes symptoms [palliates] and then regards that as a cure, when in fact, as he showed, it is merely a suppression. Symptoms are removed or suppressed inwards, but the actual invisible cause of the disease [in the vital dynamism] is still present and dynamically active. It has by no means been cured, but has been forced inwards and upwards to a more sinister and intractable layer of organism functioning. Hahnemann thus realised later in life that suppression is the very thing which he had instinctively disliked and rebelled against so ferociously in his early days, when he criticised the Galenic ‘purge and bleed’ methods as being both “fundamentally uncurative and harmful” to patients. He realised that his critique showed so-called allopathic cures as merely suppressions of symptoms that only engender first temporary relief, palliation, then relapse and ultimately no deep cure, but just new and more sinister ‘diseases’ breaking out in their train. That is a perfect description of what suppression means and it is precisely the same as the blistering critique of allopathy he launched with such passion at the start of his career. This again is a largely empirical concept derived from close study of cases under homeopathic treatment. Such observations reveal that cures simply tend to move the site of disorder from the inside outwards and from above downwards, and from centre to the periphery. This is called the direction of cure or Hering’s Law. It is not really a law as such, but rather a vague principle that is often found to work out in practice. It also connects with the concept of suppression, of which it is the opposite. While suppression is uncurative and inward-moving, so direction of cure is curative and outward-moving. The idea of direction of cure probably became also more precise at the time Hahnemann studied chronic disease more closely, because he observed that chronic diseases are more liable to stem from suppressions and the restoration involves a reverse process. In acute eruptive febrile and infectious disease (such as scarlet fever, measles, rubella, etc.) it is a well known fact that the stronger the exanthema, the less are the consequences and the faster is the convalescence. In chronic diseases, as long as the morbid manifestations are inflammatory, the progression towards affecting the deeper layers, inner organs and the immune systems is less grave. The direction of cure presumes a hierarchy or layers of different degrees of importance on what regards the inner organisation of man. The core, the most important are deeper, higher and central. Deeper are not only the physical inner organs but also the genetic and inherited aspects. In chronic diseases, deepest are the miasmatic layers, the inherited or acquired miasms that manifest as morbid pre-dispositions. Higher and central are considered not merely in a physical sense but in a hierarchical order of importance for the definition of the individuality. Hence, psyche, or the mental symptoms are higher and more central to the physical ones; a disease that evolves with an amelioration of psyche even with the aggravation of some physical manifestation is therefore regarded as following a good direction of restoration. From the practical point of view, without understanding the basic idea of restoration (Lat. restauratio = to rebuild, to give back, to repair), the directions of cure applied literally can represent a trap. For example, a lower back pain developing as a sciatic neuralgia with progression down towards the toes (from upward downwards) seems superficially to conform to this principle but in fact is an aggravation of the condition. The progression toward periphery or downwards in this case is usually a consequence of the progression of the disease from a simple contracture to an affectation, inflammation or protrusion of the intervertebral discs: so, in spite the disease have progressed from upward–downward, centre-periphery, it is an aggravation because the disease progressed towards deeper layers of physical and physiological organisation: the muscles are less deep and less important then the skeleton. In chronic diseases, the restoration (or direction of cure) principle regards the successive layer of affections. The proper cure makes a reverse order development of symptoms, the most recent suppressed symptom can eventually manifest first and the more profound ones come later. Hence, this hierarchical underground order of the human being does not manifest itself only in space terms but also diachronically, in time. Deeper, higher, more central, are also older, inherited or closer to the individual definition. Hahnemann starts, “with the conception of Life as a real or substantial entitative power or principle…the Dynamis and the Life Force. This is Hahnemann’s greatest discovery, and the absolute bedrock of his system.” [Close, 30-31] Even Sir John Forbes [1787-1861], consulting physician to Queen Victoria, 1841-61, “accepted the homeopathic cures as the result of the Vis medicatrix naturae…the less the physician does, the better chance the patient has of recovering.” [Rothstein, 243] Such innate self-healing powers, “the self-rectifying powers of the vis medicatrix;” [Simpson, 82] the “natural sanative powers of the constitution,” [Simpson, 81] “the curative powers of nature,” [Simpson, 88] and “the vital dynamism,” [Simpson, 23] are valid forces at work in every one of us and the enhancement of those powers is the primary task of all natural healing. The organism not a static but a truly dynamic structure permeated by, ruled over and coordinated by the nurturing and sustentative vital power: “the organism is indeed the material instrument of life, but it is not conceivable without the animation imparted to it by the instinctively perceiving and regulating vital force.” [Organon, Aph. 15] Hahnemann believed in the innate “self-healing energy in the patient,” [van Haselen, 123] what he called the “self-regulating vital force, the vis medicatrix naturae.” [van Haselen, 123] And for example, even a modern allopath has stated, “only that nerve energy that runs through you and controls every function and autonomic process of your being every second of your life is capable of healing you. No drugs of doctors can do that. We can only facilitate it,” [Foley] then he clearly echoes the vitalist views of homeopathy and acupuncture. Hahnemann had essentially the same views on the natural healing powers as an illustrious band of physicians before him. According to Haehl, these include Hippocrates, Galen, Sydenham, Stahl, and the Montpellier School [Haehl, I, 282-6]. Although he believed in the vital force and built homeopathy very much around that concept, he regarded allopathy as using it only in a “crude, unseeing, unintelligent, unreasoned,” [Haehl, I, 287] way, whose methods were not truly enhancing of the vital powers, but in fact depleted them. “Hahnemann’s theory and ideas about vital force and natural healing power…place him close to others, e.g. 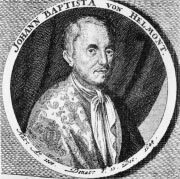 the striking agreement of his views with Sydenham about natural healing power, with the basic ideas of Stahl’s animism, and with the thought processes of Bordeu and Barthez in their vitalism.” [Haehl, I, 289] They were clinicians prominent in the Montpellier School of France. Hippocrates conceived of the vital force as “an inborn power regulating…the functions of the organs and the correct relative mixture of the humours.” [Haehl, I, 283] By the same token, “illness is a disturbance of the healthy equilibrium.” [Haehl, I, 283] Galen “agreed with Hippocrates on a natural healing power inherent in the body,” [Haehl, I, 283-4] but made many confusing remarks as well. Stahl’s view was that the symptoms of “diseases were simply the efforts of the organism…to restore the equilibrium of health.” [Haehl, I, 284] Even in the Montpellier school, illness was seen as “an affection of the life power and is expressed by disturbances…[it is] a reaction of the life power.” [Haehl, I, 285] It is roughly in keeping with the views of Hippocrates, Stahl and the Montpellier school, but not with those of Brown or Galen, Boerhaave or Hoffmann, where the effects of the vital force are not always highly regarded or assisted or regarded as curative, or in which therapy tends to run against the natural efforts of the vital force by use of contraries. The vital force is a “spiritual principle…that rules with unbounded sway.” [Organon, Aph 9] or what might also be called “a spiritual medicinal power,” [Simpson, 141]“Hahnemann minimises the healing power of nature,” [Guttentag, 1175] but “he describes its effects as nowhere to be imitated and as rarely sufficient.” [Guttentag, 1175] Post-Hahnemannian homeopathy “still holds the same respectful view of the healing power of nature as in 1836.” [Guttentag, 1175] Most homeopaths have reiterated the view that the healing power of nature is supreme. Kent says that “there is no cell or tissue so small that it does not keep its soul and life force in it,” [Kent, 670] and he expresses the view that “the vital force dominates, rules and coordinates the human body.” [Kent, 677] Also, that the vital force “is again dominated by still another higher substance which is the Soul.” [Kent, 677] In his conception of the organism, “the vital force holds all in harmony, keeps everything in order when in health.” [Kent, 677] In this view, “that which we call disease is but a change in the vital force expressed by the totality of the symptoms.” [Kent, 661] Therefore, “the inner nature of the remedy corresponds with the inner nature of the disease.” [Kent, 685] Disease being a dynamic imbalance, so any “dynamic wrongs are corrected from the interior by dynamic agencies.” [Kent, 643] Thus, “Man cannot be cured or be made sick except by some substance as ethereal in quality as the vital force.” [Kent, 644] Kent wisely called the vital force the “vice-regent of the soul,” [Kent, 660] and it does seem to correspond to the concept of the unconscious or subconscious mind that regulates all the bodily processes through the involuntary nervous system, and the endocrine organs and keeps the breathing and blood going etc. Because of its immaterial nature, the vital force bonds with various other key concepts in homeopathy, such as the small doses and the miasms. Though it is an abstract and insubstantial entity, its reality and truth is confirmed through the powerful logic of its usefulness as a concept underpinning so many aspects of homeopathy. The vital force stakes another primary claim for a unique status within the conceptual core of homeopathy in that the remedies of homeopathy do not directly impact upon or cure the alleged ‘disease,’ but impact primarily upon the vital force, the innate vital powers, the vital dynamism that controls the organism, and solely through whose dominion and sovereign powers sickness is either created or annulled. Therefore, sickness is removed indirectly rather than directly, not at the local level, but at the level of the whole organism. The sickness itself is conceived as under the control of the vital force, not of itself. It is conceived primarily as an internal matter, not an external one. Accesses to sickness is thus always indirect and only achieved via the holistic powers of the vital force itself, which pervades the entire organism. The miasm is a metaphysical concept to try and explain cumulative observations of case histories of sickness within families. As an idea it probably derives from Hahnemann’s studies of venereal diseases, most especially Syphilis, which does have this character of a miasm that is acquired, then goes dormant and then springs out later in various hideous forms as well as being passed on to children as predictable [patterned] inherited syndromes of sickness. When viewed more metaphysically the miasms are defects carried in the vital force that cause sickness by deviations from its perfect and harmonious control. Miasms might be termed ‘internalised relics’ or stains of big diseases that are left in the vital force and which steal its natural self-healing power. Yet, the miasm theory undoubtedly is an attempt to reach into “the deeper fundamentals of disease.” [Haehl, I, 137] Many called psora, “this thousand-headed monster.” [Haehl, I, 145] Chronic symptoms are regarded by homeopaths as “symptoms of the underlying miasmatic malady.” [Haehl, I, 145] Hahnemann’s “idea of Psora coincides to a large extent with that of inherited predisposition to disease.” [Haehl, I, 151] The initial “starting point for the main ideas [of miasms]…was the observation that certain chronic diseases…could be alleviated by homeopathic remedies, but not completely cured.” [Haehl, I, 138] To Hahnemann, “psora is a disease or disposition, hereditary from generation to generation for thousands of years.” [Haehl, I, 144] It “can be observed in the most variable forms imaginable.” [Haehl, I, 145] Psora as a miasm, therefore, becomes “the fostering soil for every possible diseased condition.” [Haehl, I, 144] The miasm theory can be seen as the logical extension of the vital force concept, and as bringing the vital force to its ultimate point. I have a friend who accuses me of being drawn by anything new, bright and shiny – by anything interesting, not to put too fine a point on it. And I have to admit, he is right.